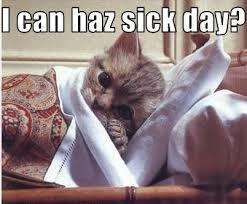 Can A Cat Catch The Flu From A Human? Cats can catch the flu but usually not from a human. The reason for this is because the particular viral strain doesn’t cause the severe immune system response that it causes in humans. Like most mammals, there is a particular strain of the virus that’s called feline influenza. This does cause severe flu symptoms in all types of cats. We cannot catch the flu from a cat and they can’t catch it from us. Most cats get vaccinated against this on their first visit to the vet. Humane societies do it onsite along with the other necessary vaccinations. Enjoy the holidays with us! Great holiday on THE EDGEWATER INTERNET RADIO NETWORK! This entry was posted on Wednesday, December 10th, 2014 at 7:54 pm	and is filed under Pet Supplies. You can follow any responses to this entry through the RSS 2.0 feed. Both comments and pings are currently closed.